Bronx Personal Injury & Vehicle Accident Law Firm | James Newman, P.C. Accidents happen. But should you do if you have suffered a serious injury in an accident caused by the reckless, careless or negligent behavior of another? At the Bronx law firm of James Newman, P.C., we help you get justice by making sure that the culpable party pays for what they have done. We work to get you the compensation you need to recover medical expenses, lost wages, and pain and suffering. 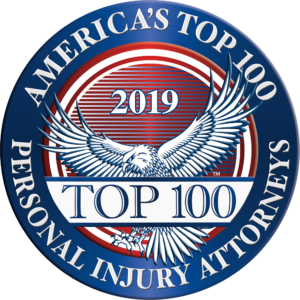 Our attorneys, with more than 35 years of combined experience, bring personal injury lawsuits on behalf of victims for injuries suffered as the result of a fall, a work injury, an auto accident or medical malpractice. Determined to get you justice. We aggressively seek compensation for our clients — the families and individuals who are our neighbors in and around the Bronx. We have been doing this for decades. Motivated litigators. The medical malpractice and personal injury attorneys with our law firm have helped thousands of people recover millions of dollars, through settlement and at trial. Thoroughly prepared. Our lawyers and legal staff know how to investigate your accident, compile evidence to determine the cause, and develop an effective strategy for presenting and establishing your case. Our goal is to recover every penny you are entitled to for your New York personal injury claim, whether you have suffered broken bones, burns, electrocution or any other severe injuries. We work for you on a contingency basis, meaning we receive no fee unless we win your case. We also bring wrongful death actions on behalf of families who have lost a loved one through the reckless or negligent actions of another party. Auto accidents. Our firm represents those who have been hurt as a result of auto accidents, including motorcycle accidents and trucking accidents, caused by driver error, driver carelessness, distracted driving, failure to maintain service, road defects, vehicle defects and texting while driving. Personal injury. Our personal injury attorneys represent people injured by all types of falls, accidents, wrecks and negligence. Construction site injuries. Construction sites must be kept safe for workers. We get justice for those injured in accidents resulting from scaffolding, building, roof or crane collapses, stairway defects, elevator crashes and malfunctioning equipment. Medical malpractice. Doctors are supposed to heal, not harm. We help victims who have suffered injuries due to medical malpractice or negligence. These cases include surgical errors, hospital malpractice, failure to diagnose, and medication errors. We also represent parents whose children were harmed due to negligence during the birthing process. Premises liability. We represent victims of slip and fall accidents as well as others who have been hurt on the property of another. We bring premises liability cases on behalf of those injured due to exposure, falling objects and inadequate security. We are committed to getting you the money you are entitled to for current and future medical expenses, lost wages, pain and suffering, and any additional out-of-pocket expenses. As your Bronx personal injury lawyers, we will also seek punitive damages if the responsible party exhibited extraordinarily reckless behavior. At James Newman, P.C., we focus our entire practice on getting compensation for the injured. To learn more about how we can help you with your medical malpractice, personal injury, or construction injury case, please contact us online or call our office in the Bronx at 718-823-3122. Our office is convenient to the Number 6 train and MTA bus service.